- To enable us to flex and bend. - To provide structural support than enables us to stand and remain upright. - To protect our spinal cord which is the main highway for our central nervous system, nerve roots and several of our internal organs. 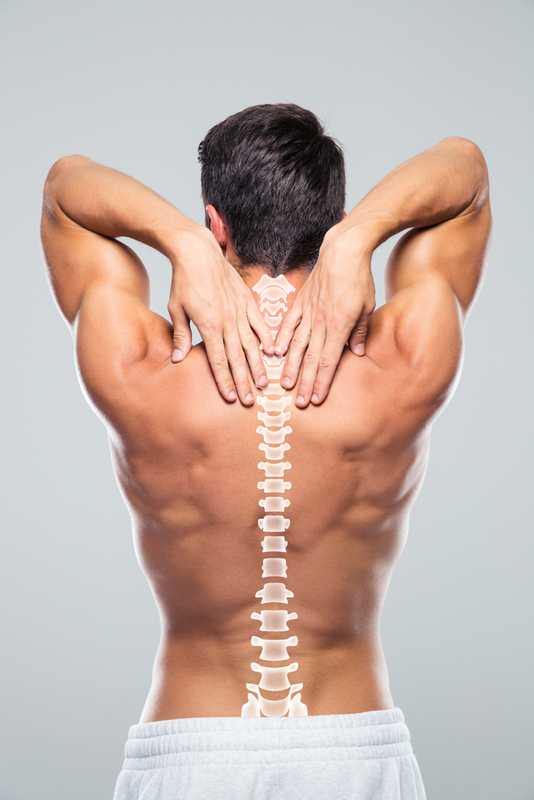 Strong muscles and bones, flexible ligaments and tendons and functional nerves all contribute towards a healthy spine. However, any of these elements can become affected by disease or trauma, and this can affect our mobility as well as cause us pain. Unfortunately, many of us take the health and function of our spine for granted, and this can cause us to experience problems, some of which can have long-term consequences. In fact, back pain is one of the leading causes of days missed at work in the United States. To help ensure that you minimize your likelihood of back pain and subsequent conditions, here are our top care tips for your spine. Bad posture is one of the key contributors of back pain. Unfortunately, many of us naturally slump in our chairs or hunch over our desks, spending many hours each day in a position that isn’t ideal for the health of our spine. By taking time to correct our posture and using ergonomic aids such as lumbar supports at work, we can significantly reduce the chances of developing back pain. Many people spend much longer than they should sat down. Whether this is at work or when you are relaxing in the evening, spending too long in the sitting position is not good for our backs. Our spine benefits from exercise just as much as any other part of our body, and by strengthening the muscles in our back, we can help prevent back problems from occurring. Swimming, walking and cycling are all good activities to help build up your back muscles. Moving around more will help you with another important element when it comes to spine care – weight management. The heavier you are, the greater the amount of strain your body places on your spine since this narrow column is responsible for helping to support your entire weight upright. If you are carrying excess weight, losing it will help to ensure that you reduce your risk of back pain. Many types of back injury occur when we lift something incorrectly. It doesn’t always have to be a heavy object either. Sometimes lifting a light object while our spine is in an awkward position can still cause damage to the tendons, muscles and nerves in the spine and trigger the start of back pain and associated problems. Our back doctor will be happy to demonstrate the best way of lifting objects to you to help reduce the likelihood of you suffering from this type of injury. If you are lucky, you probably spend anywhere from 6 to 9 hours in bed every night. This is a long time to be lying down, and if your mattress is poor quality and not offering your body enough support, you are likely to be waking up feeling stiff and uncomfortable every day. A mattress with the right support can see you getting better quality sleep each night, as well as lowering your risk of back problems. Experts believe that smoking reduces the blood supply to the intervertebral discs that cushion the bones in the spine. This could lead to the premature degeneration of these discs and cause you to experience back pain much earlier than is normal. If you would like more tips on the best way to care for your spine, our friendly and knowledgeable team would be happy to help. Please contact our offices to speak to us or to schedule a consultation with our spine specialist, Dr. Tumialan.